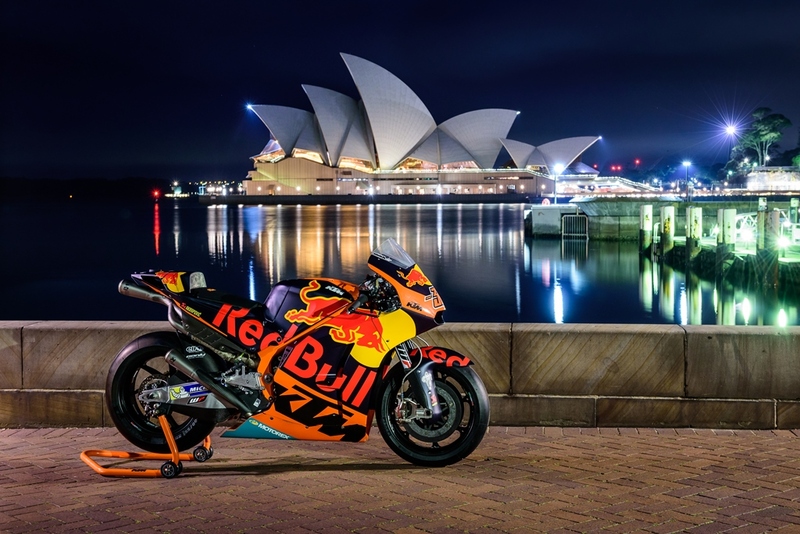 A factory RC16 from Red Bull KTM Factory Racing’s MotoGP World Championship team has completed a whirlwind trip to Australia in the lead-up to the Austrian manufacturer’s first Australian Motorcycle Grand Prix in the premier class at Phillip Island this weekend. 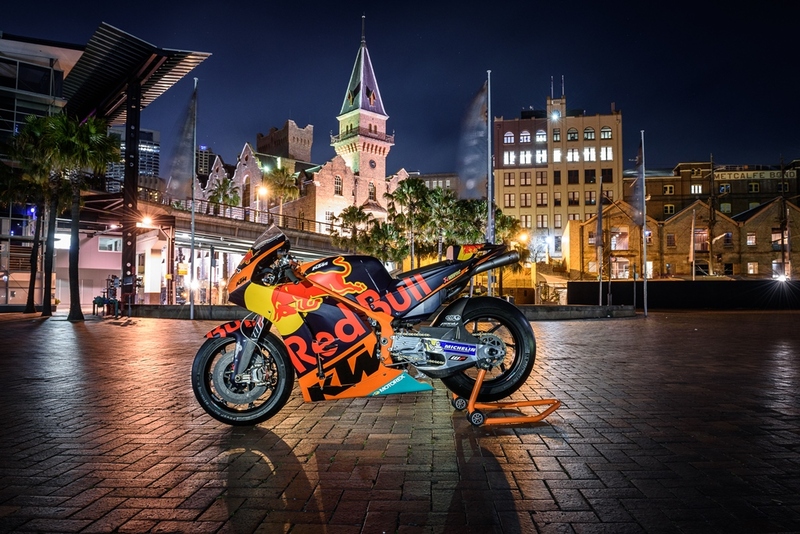 The exotic and extremely rare RC16 race bike initially arrived for the KTM Dealer Conference that was held at Port Douglas in Far North Queensland during August, placed on display throughout the annual event and featuring as one of the most significant focal points of the event. 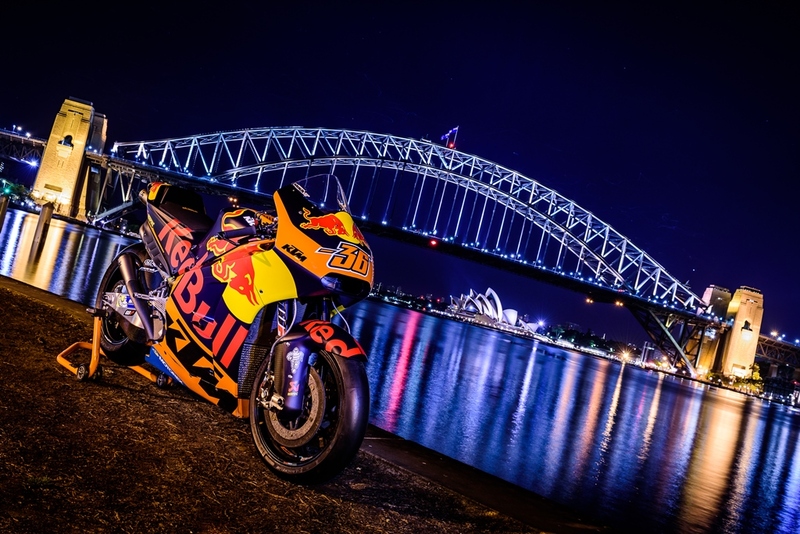 From there the RC16 was utilised on set at Fox Sports’ studios throughout the Austrian round of MotoGP contested at the Red Bull Ring, while KTM Australia also took the opportunity to hold a unique photoshoot at a selection of Sydney’s most iconic locations, including the Opera House and Sydney Harbour Bridge. Following that, one week later the Red Bull KTM Factory Racing RC16 made a special appearance at Sydney Motorsport Park’s round of the Supercars Championship at the defending champion Red Bull Holden Racing Team pit, generating immense interest over the course of the race weekend. It has also created much interest within KTM Australia’s state of the art new headquarters while on location, with talented Australian KTM RC 390 racers Billy Van Eerde, Max Croker and Jarred Brook taking time during the Sydney round of the Australian Superbike Championship (ASBK) to view the RC16 contender first-hand. 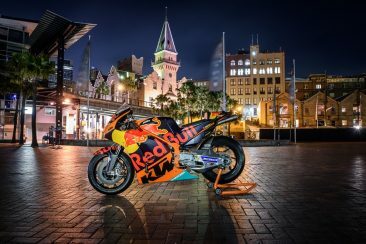 The RC16 that has been on tour in Australia played an instrumental role as one of KTM’s primary development machines in 2016 at the hands of Finnish test rider Mika Kallio, who raced this very bike as a wildcard at Valencia’s final round of the MotoGP World Championship in Spain last November. 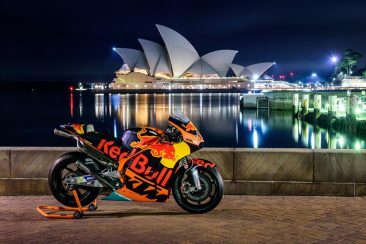 Kyle Blunden – KTM Motorsport Marketing: “To have the opportunity to showcase this truly unique motorcycle in a variety of Australian settings has been amazing. 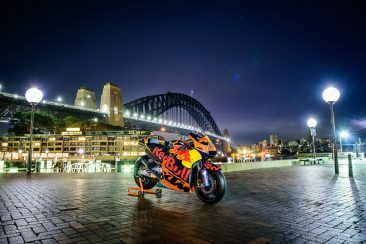 We are incredibly honored that KTM Austria choose Australia to house the RC16 with the objective to capture some truly unique images in some distinctive Australian settings. We were able work with Danny Wilkinson and showcase the RC16 against some of the incredible back drops that Sydney has to offer. To see the KTM RC16 in the MotoGP class at this weekend’s Michelin Australian Grand Prix at Phillip Island will be a dream come true for so many KTM fans and we are really looking forward to it. KTM have seen a lot of success here in the past with our very own Casey Stoner bringing KTM to the Australian podium for the first time back in 2004 in the 125cc category. 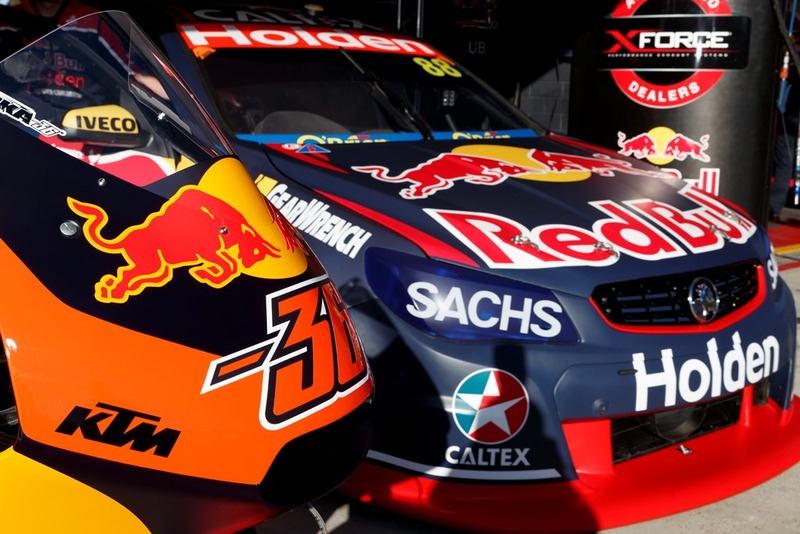 Phillip Island is notoriously famous for its exciting racing and close finishes… so who knows what this weekend might bring”. This weekend will see Red Bull KTM Factory Racing contest Phillip Island’s Australian Motorcycle Grand Prix in the MotoGP category for the first time on 20-22 October, as official team racers Pol Espargaro and Bradley Smith compete aboard the RC16 following a successful maiden season in the top tier of grand prix racing. It will be a special round for KTM supporters in Australia on race weekend, especially those situated trackside in the KTM VIP Suite where 50 guests will be treated to an exclusive ORANGE experience in support of Espargaro and Smith. This year marks the first time that KTM Australia has hosted the first-class hospitality program at Phillip Island. 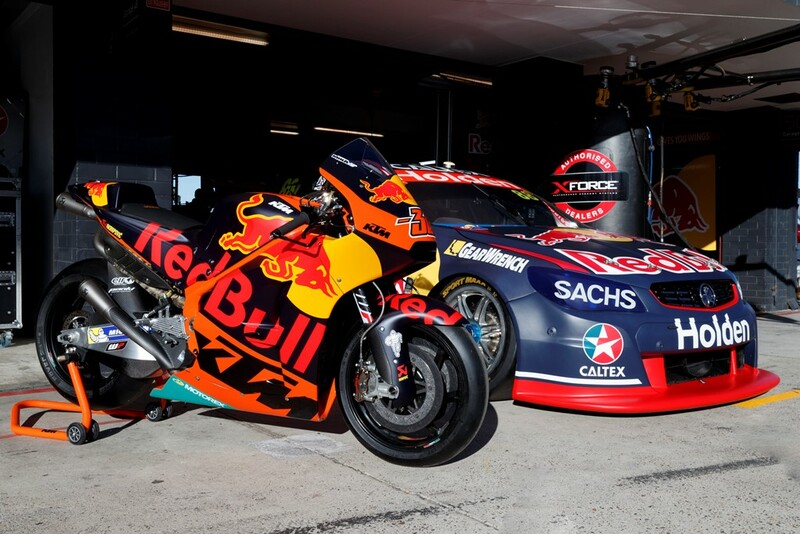 KTM’s first Phillip Island podium was delivered over a decade ago in 2004 at the hands of Australia’s multiple world champion Casey Stoner, the then Red Bull KTM 125GP rider claiming a hard-fought third at home – just 0.123s outside of the victory in what was the beginning of a successful run for the Austrian brand in Australia. Two years later in 2006, current MotoGP test rider Kallio was runner-up in the 125cc race and then down the track in 2012, KTM won the Moto3 race in Australia with eventual world champion Sandro Cortese in the category’s inaugural year. 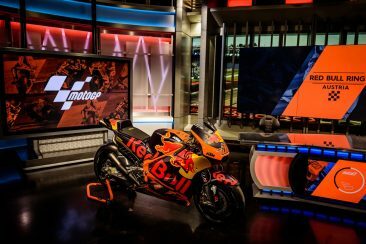 It was a KTM sweep of the podium that year with current Red Bull KTM Ajo Moto2 rider Miguel Oliveira second and Aussie Arthur Sissis third. 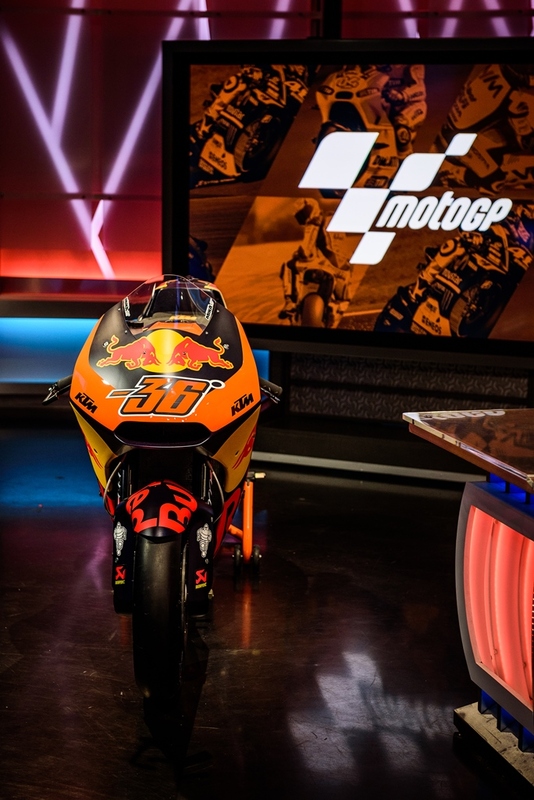 Another Australian in Jack Miller – on his path directly to the premier class – won the Moto3 affair at Phillip Island in 2014, followed by victory for Oliveira in 2015 and last year it was world champion Brad Binder who took victory in his way to the 2016 crown.